Kaspersky Anti-Ransomware Tool for Business is compatible with third-party security products, easy to install, and does not require business users to have deep technical knowledge to configure and manage it. It allows companies that do not use Kaspersky Lab’s solutions to try advanced anti-ransomware technologies with no financial outlay. 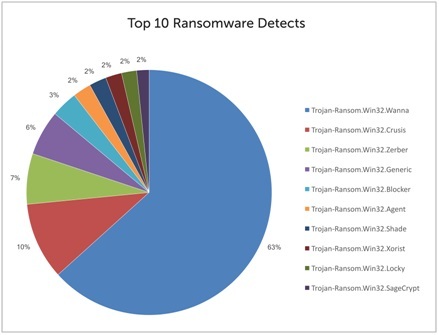 The tool includes Kaspersky Lab’s System Watcher component, which detects suspicious ransomware activities, creates a temporary backup of attacked files, and rolls back malicious changes, leaving the system unaffected. Kaspersky Anti-Ransomware Tool for Business also leverages Kaspersky Security Network, which enables the delivery of Kaspersky Lab security intelligence in a matter of seconds, while ruling out false positives and maintaining high levels of protection. “The recent WannaCry and ExPetr epidemics were an unfortunate reminder that the ransomware problem is real and can severely affect any company in the world. And the fact that 100,000 companies have already downloaded the Kaspersky Anti-Ransomware Tool shows that businesses are becoming increasingly worried and aware of the problem. Given the size of the estimated financial impact from ransomware, we encourage every business to check that they have the right security solution enabled. Companies that doubt their security solution is capable of combatting the latest ransomware threats, can put the new Kaspersky Anti-Ransomware Tool to work to test advanced anti-ransomware technologies,” comments Vladimir Zapolyansky, Head of SMB Business, Kaspersky Lab. Organizations that are looking to build on the protection offered from the Kaspersky Anti-Ransomware Tool can explore Kaspersky Lab’s comprehensive next-generation security solutions for business of any size. Find out more on the Kaspersky Lab website.